In addition to what looks like more rain tomorrow and over the weekend, there are some events coming up. Yet another spot opening up in the county as evidence that this is BBQ country…L&B Roadhouse BBQ is having a ribbon cutting and grand opening on Friday from 11 to 3pm at its Lometa location. The smoky spot is located at 17346 U.S. Hwy 183 out of Lometa toward Goldthwaite. The owners promise a 15% discount to all diners during the event. Friday at 7:30pm – Lampasas Badgers at La Vernia Bears for a contest of potentially high-scoring offenses. Saturday will see a rebirth of the Indian Artifact Show that has been going on here for some years. It is now the Indian Artifact & Mineral and Gem Show. 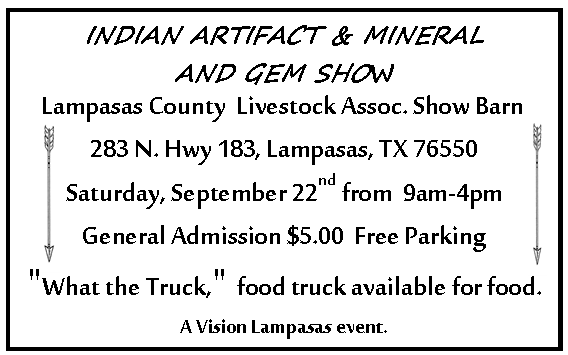 According to organizer Warren Bluntzer and sponsor Vision Lampasas the event will be at the Lampasas Livestock Show Barn at the intersection of Hwys 183 and 281N just north of Lampasas. It is scheduled for Saturday, Sept 22nd from 9am to 4pm, and will feature just what it says, Indian artifacts, arrow and spear heads, fossils, minerals and gems. There will be lots of vendors and displays for spectators and traders alike. 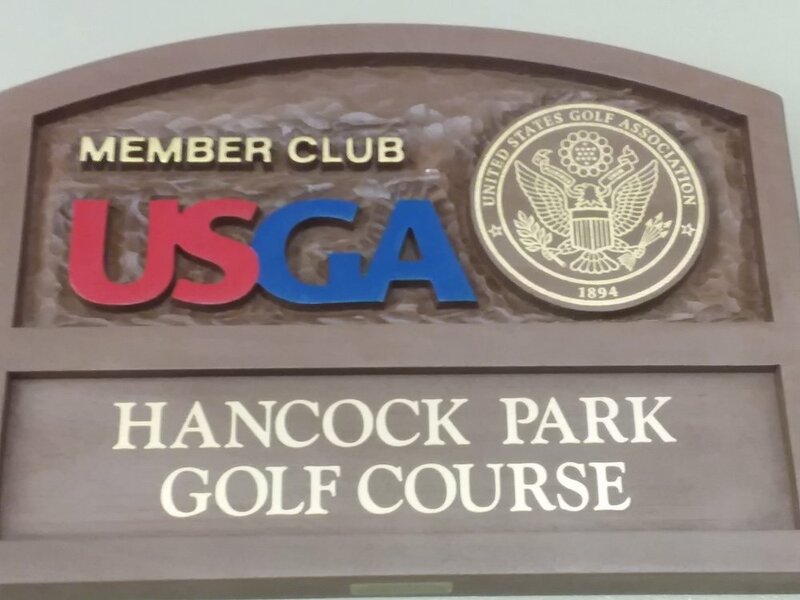 There is a $5 admission fee for public. Another Saturday event is the evening Food Truck Festival in Copperas Cove’s City Park at 1206 W. Ave. B. It will feature music, games, kids bounce house, a beer tent, a wine tent and lots of Food Trucks with plenty of choice in what’s to eat. The event has a $5 per car load cover and runs from 6 to 10pm. AND…Fall Begins at 8:54pm on Saturday.